Hinky Dinky News Vol. 24, No. 7(b): December-1969 – Hinky Dinky Parlay Voo? Hinky Dinky News Vol. 25, No. 10: December-1970 Do you clip? 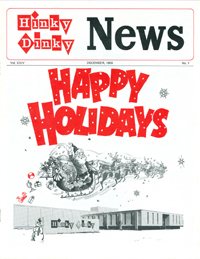 Here’s the December -1969 Hinky Dinky News.